As the gardening season looms on the horizon, can we ask where your next bag of ‘multi-purpose compost’ will come from? We don’t mean which supermarket, or garden centre will you visit to make your purchase, we mean where from and what is the origin of the material in the bag? Marketing departments of big multi nationals spend vast sums of money persuading us that their bag of ‘multi-purpose compost’ is natural, organic and a host of other equally persuasive descriptions. By and large the horticultural industry tries to persuade us we need peat to grow nice gardens after all peat is a natural, organic material. As a multi purpose compost, it is a bag of growing medium plus synthetic additives which advance plant growth. It is, if left in situ, a carbon sink which can help combat climate change. It is, if left to grow a wonderful habitat and as an ecosystem contributes immeasurably to our quality of life as well as providing a home to many thousands of species. Instead of trudging round a ‘supermarket’ environment treat yourself to a day out on the moors and appreciate why it’s better left alone out there for future generations to enjoy. 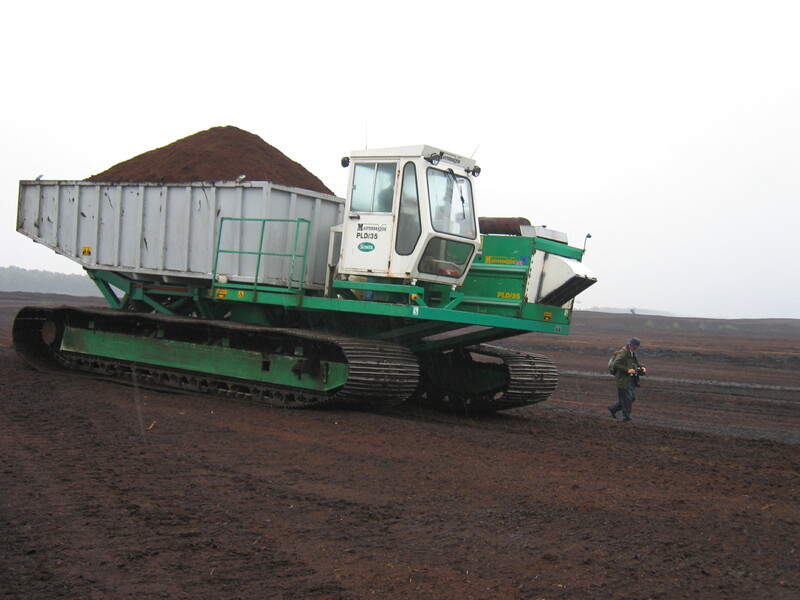 Was this the last peat to be mined from Hatfield Moors SSSI?